Romantic atmosphere during the city festivals, cultural events, street performances will make you trip never-to be-forgotten. Come and fell this on your own eyes! 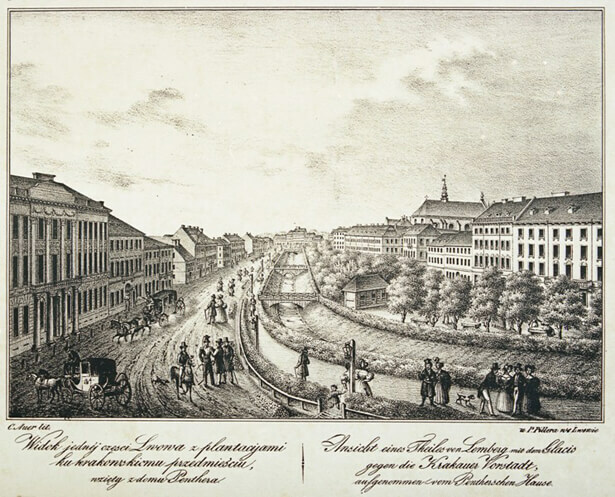 In the end of XVIII century after the old fortification walls – one of the first street was a “Nyzhniy Val” (now wright even part of Svoboda Ave.). 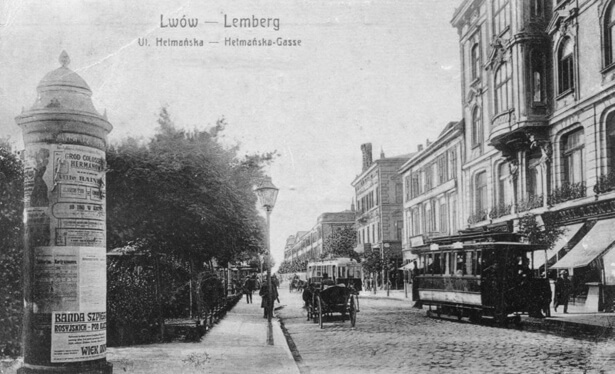 Since the 1820 year street Nyzhniy Val has become a favorite place of promenade for lvivians. New hotels, restaurants coffee shops, candy stores, fashion shops, banks, first photo stores settled one by one on the new street that meant a quick development of cultural capital of West Ukraine. was opened. 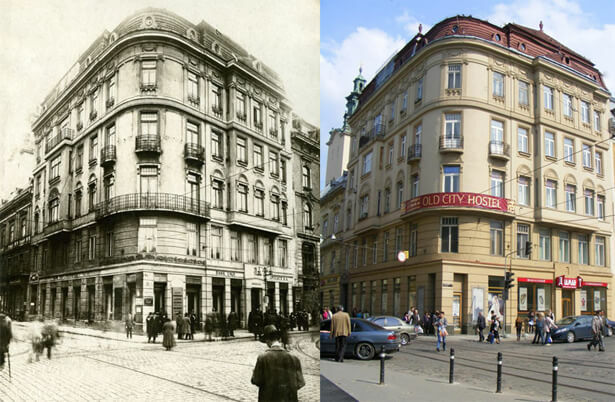 In 1909 on the place of old building by the by project of the architect Michal Ulyam a new building was consrtucted. 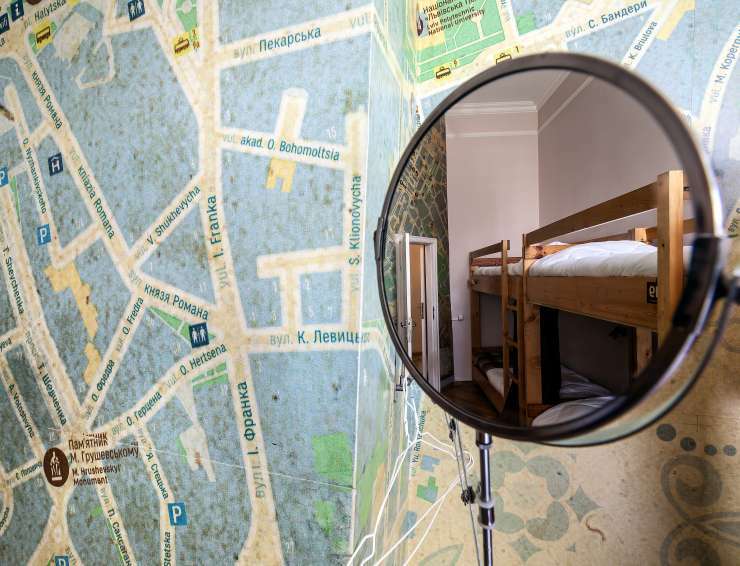 That’s why, stay in Old City Hostel and you will have a great opportunity to spent a night in the building with the centennial history. A photo studio “Kordyan was opened on the fifth floor of that building. The owner of this art photography establishment, which existed in the building until 1914, was Berthold Feyershtayn. 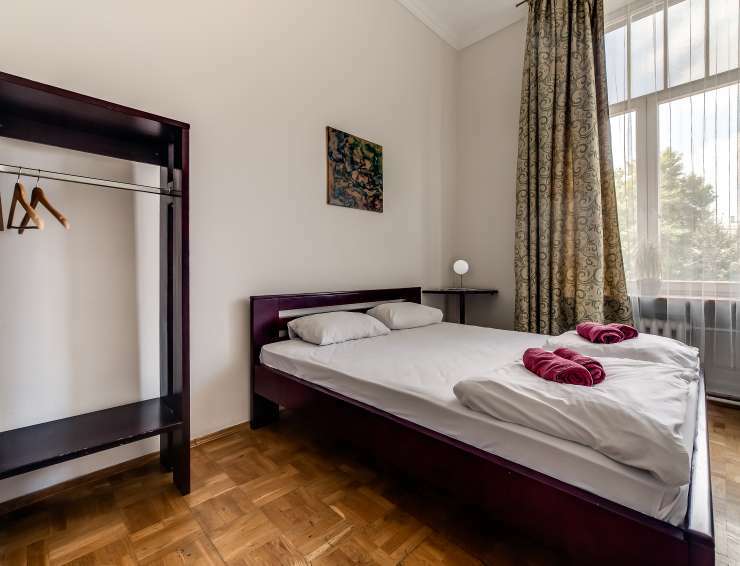 Among the owners of the building which was now called 3 Kilinskoho Street in 1910-20’s were Adele Sokalova, Emma Lilyenova, Dr. Arthur Liliyen, Mary and Clara Blomfild. 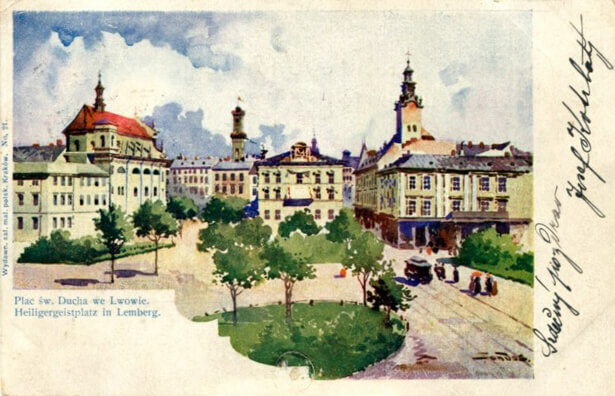 A number of banking institutions can be noted as landlords: Shelenberg Bank, Advance Bank, Union Bank, Discount Bank of Warsaw, Bank Malopolski. 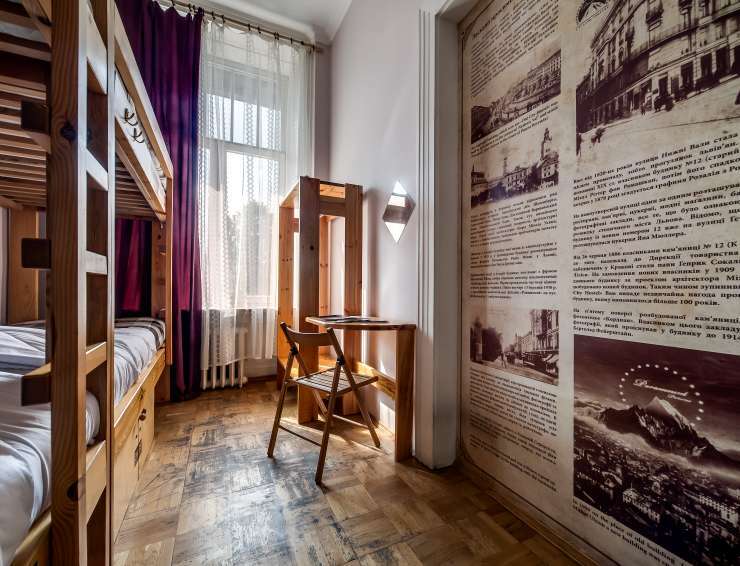 There also rent premises several insurance companies, architectural offices (including architectural office Michal Ulyam, one of the most significant architects of Lviv in early twentieth century. ), and editorial publications. An interesting story is connected with the film industry in Lviv.. In 1925 in the building was located warehouse of Society Radio Films in Lviv, owned by Emil Hrubshtayn. The dramatic events in the history of the building associate with the Paramount Films company, well known lovers of Hollywood movies. Fire victims were office furniture, photos and prospectus. As to the place of incident a fire team come very quickly , the fire did not reach the films. Otherwise, the movie could explode, and then, on the one of the populous street in the city, where were stops of all tram routes could be the catastrophe that would have dragged a lot of casualties and destruction. In Soviet times on the ground floor was gastronome number 1 – “Lighthouse”( Mayak) – prodtorh Lenin district of the city. Nowadays it is the wedding dress shop and jewelry store. These are the top stories of the building downtown, located on the right bank of the river Poltva on the place of the old military buildings that once surrounded the city of Lviv. 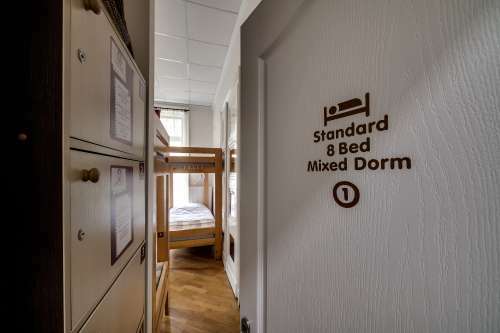 The hostel is designed for 46 beds with accommodation in different rooms.